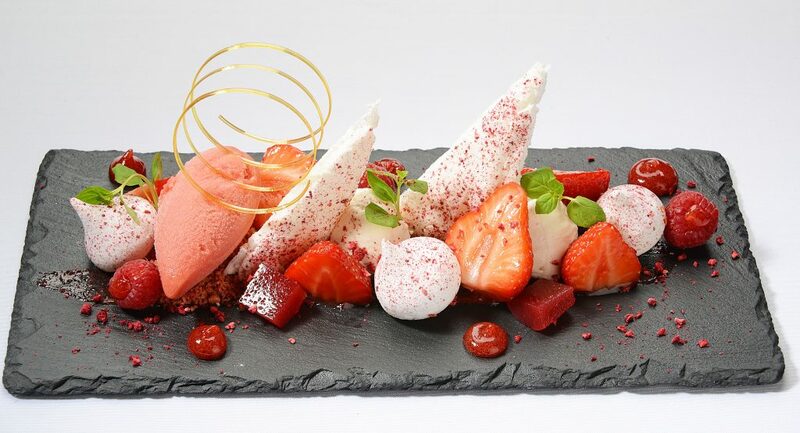 It’s a big sporting summer and with the attention now on Wimbledon, The Restaurant have devised two refreshing treats for you to try at home; Strawberry Debonaire and Strawberry Eton Mess. Muddle these to a pulp using a muddler. You may have to stir through a fine mesh strainer from pulp build up. 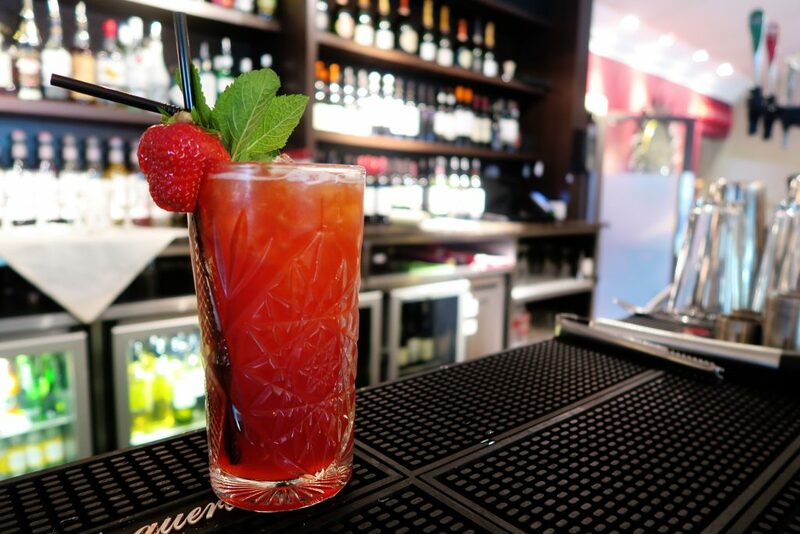 The quintessential English summer drink began popularity in the early 19th century with the Pimms No1 Cup, of which was favourable because of its ‘health tonic’ attributes containing a secret blend of spices and quinine. Add all remaining ingredients together and whisk thoroughly. Store in fridge to set. Swipe strawberry sauce onto the plate / slate and arrange the meringues evenly. Pipe mascarpone cream between the meringues and toss some fresh strawberries on top. Decorate the plate with the jelly, strawberry foam and a scoop of sorbet. Garnish with micro basil leaves and freeze dried strawberries. Let us know if you have made these and enjoyed them as much as we did by commenting below.